species, but could actively help fortify the soil and environment. rural areas. He said the combination gives landowners another form of steady income and helps pollinate crops around the area. Read more here. 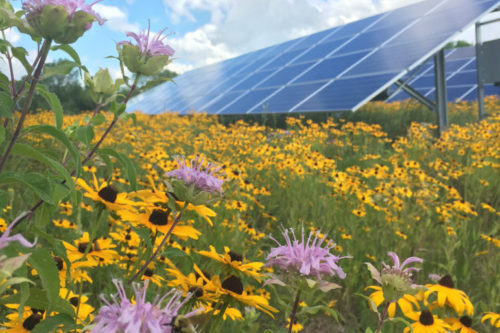 This entry was posted in Community-Scale Solar and tagged Argonne National Lab in Illinois, National Renewable Energy Lab in Colorado, pollinator-friendly solar sites, Rob Davis - Director of the Center for Pollinators in Energy at Fresh Energy on March 22, 2019 by Helen Deffenbacher.